“And in Antioch the disciples were first called Christians.” Acts 11:26, circa 60-62 A.D. The irony, then, of Parham establishing the Bethel College and Bible School in Topeka, in October 1900, would seem obvious, if not for the eisegetical intent with which Bethel students would be guided. Parham focused his students on searching Scripture with a view to establishing textual evidence for the presence of the Holy Spirit in the early church, particularly exhibited in the gift of tongues. Parham approached Scripture – and taught his students to approach Scripture – with a preconceived conclusion that tongues and the baptism in the Holy Spirit were inseparable, that the gift of tongues was audible evidence of God’s presence and of one’s salvation. 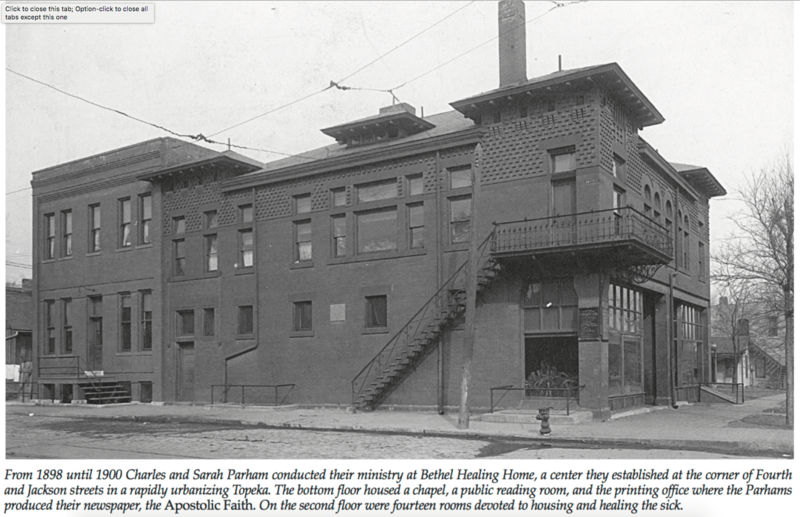 Parham’s preconception can be seen well established two years earlier when he and his wife established the Bethel Healing House in Topeka. Parham, through his college and within his ministry, approached Scripture not in a Berean way to see if these things were so, but in a cut and paste manner. He already knew what he wanted Scripture to say. The healing ministry of Parham in Topeka came under fire, according to John MacArthur in Strange Fire, “When a young girl in Kansas died because her parents refused medical treatment and instead sought healing through Parham’s ministry…” The unfortunate event prompted the Pentecostal evangelist to take a hiatus to Texas. While in Texas Parham became acquainted with William J. Seymour. Becoming enamored with Parham’s teaching on the Holy Spirit gifts, Seymour ended up in Southern California where, as a Holiness pastor, he spread the Pentecostal fervor he’d learned from the Kansas healer. Seymour’s ministry on Azusa street would soon blossom into a full-blown Pentecostal revival by 1906. The NAR, while affirming the supernatural apostolic gifts lauded in the Pentecostal and Charismatic Movements, has added a distinctly new element to the mix – it teaches that modern day apostles have been given to the modern church by God. In 1900, according to the Status of Global Christianity report published by the International Bulletin of Mission Research, (A PDF of this report is provided below.) the global population of Pentecostals/Charismatics tallied 981,000 or about 0.0018% of the entire global Christian population. By mid-2017, according to the report’s projection, that percentage will be a staggering 0.282%. The sheer numerical head count of Pentecostal/Charismatics today is whopping, just under 670 million adherents. Fully one-fourth of all Christians fall under a “renewalist” theology. Though they are known, even by charismatics, to be illegitimate imitations of their Day of Pentecost namesake, tongues continue to be exhibited by Pentecostals, Charismatics, and throughout the NAR movement. The Assembly of God denomination, which just hit a church plant milestone by adding 406 new churches in 2016 to bring their total church count to 16,023 in the United States, features an emphasis on the header of their Church Multiplication Network website: “We are dedicated to planting healthy, Spirit-empowered churches in every community in America.” (Emphasis added.) “Spirit-empowered” is most visibly reflected in the presence of tongues, despite their acknowledged variance from the New Testament practice. Actual language is unnecessary as ecstatic gibberish is evidence enough, albeit purely subjective evidence. Yet tongues alone are not the only presumed manifestation of supernatural power within the movement. Todd M. Johnson, author of Counting Pentecostals Worldwide, provides a summation of the various gifts embraced by the experiential-intense movement. The impassioned pursuit of these supernatural gifts has led to the establishment of “schools” that presumably operate to aid the Holy Spirit in transferring His gifts to those eager to obtain them. 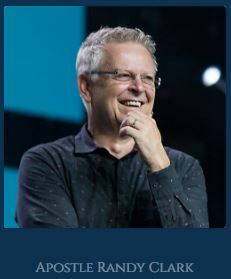 Bill Johnson and Kris Vallotton operate, out of Bethel Redding, the School of Supernatural Ministry, “… where our students embrace their royal identity, learn the values of the Kingdom and walk in the authority and power of the King. It is a transformational experience,” their website claims. One graduate of Bethel’s school now operates a ministry called The Dead Raising Team, which presumably educates believers on how to perform this ultimate miracle. Paul, the bonafide apostle, might find Clark’s educational offers to be distinctly aberrant from his own prayers and admonitions for the faithful. “ And so, from the day we heard, we have not ceased to pray for you, asking that you may be filled with the knowledge of his will in all spiritual wisdom and understanding, so as to walk in a manner worthy of the Lord, fully pleasing to him: bearing fruit in every good work and increasing in the knowledge of God …” (Colossians 1:9-10) Paul’s interest in “impartation,” for “destiny,” for believers to “walk in the supernatural” are absent, though his desire for believers’ growth in spiritual wisdom, understanding and increasing knowledge of God is clear. Those more mundane, but authentically apostolic, entreaties are disregarded by Clark and his charismatic ilk who prefer to emphasize the experientially supernatural. From Todd Johnson’s definition of Pentecostalism, to “dance in the Spirit” may seem an odd spiritual pursuit. But you’ll find on “apostle” Clark’s website a link for their Dance Revelation school. “DR is a faith built organization,” says it’s “About Us” section. “Dance revelation encourages its dancers to dance with their hearts, souls, and minds – to imagine the impossible, then dance it.” David may have danced to the Lord, but his act of worship was, of course, spontaneous, not the result of a spiritualized curriculum out of a school of supernatural ministry. It is the phenomenal growth of charismatic behavior of all sorts that is most concerning for the modern church. As noted early, the current global population of adherents claimed by the movement comes in at just under 670 million souls. By comparison, the global population of those who are simply defined as “evangelical” is far less at 341 million. The nearly two-to-one ratio of charismatics to non-charismatic evangelicals is projected to maintain itself, reaching 795 million charismatics to 400 million evangelicals by 2025. According to World Christian Database, by 2050, it’s estimated that 1.1 billion will fall into the charismatic camp. 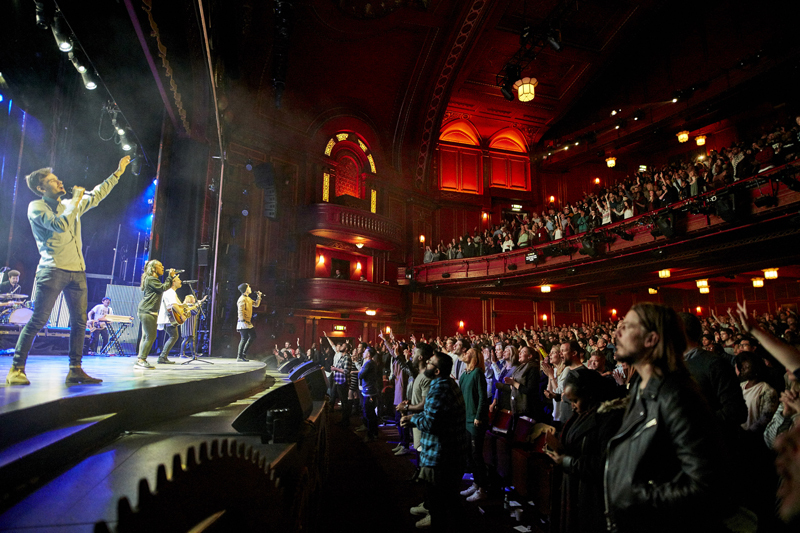 While the usurpation of more mainline churches by those with charismatic theology seems to be an ongoing certainty, influential evangelical leaders are not speaking out against the movement. They are increasingly eyeing its growth with almost covetous desire, lauding it for its visible excitements, and embracing many of its faulty teachings. We highlighted in SBC Endorses NAR-Charismatic False Teaching how the Southern Baptist Convention has adopted errant spiritual warfare teaching from the charismatic/NAR movement in promoting its own awakening-seeking agenda. Piper, dismissing the inherent, and original-with-founder Parham, risks of the eisegetical use of Scripture to validate charismatic experiences, does offer a warning about the movement, though it’s not a warning about the excesses of its practice. He says, “… mingled with Pentecostalism in many places is a prosperity gospel, a prosperity preaching…” Piper is, of course, correct in this warning. The public face of the charismatic movement is explicitly the proclamation of a prosperity gospel. One need only to turn on “Christian” television to see charismatic hucksters promising bounteous returns on seed-faith donations from their Biblically-illiterate viewers. 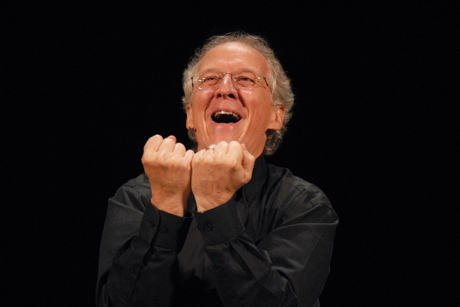 It simply must be emphasized that the charismatic movement was birthed by a Pentecostal preacher who dismissed the importance of authentic, scholastic, Biblical study, instead preferring an intensely subjective approach to Scripture with an intentionally eisegetic approach in order to ferret out “truth” to substantiate his supernatural predispositions. But, as has been said, you can make Scripture say whatever you want Scripture to say. When considering the ever-increasing presence of charismania, believers must be intentional and prudently Berean. A cautious study of Scripture’s consistent theme regarding the phenomena intrinsic to the charismatic movement must be the primary guide, not, as Parham used Scripture, an ancillary and eisegetically derived confirmation of them.But so too must the believer engage the mind to apply Scripturally-informed common sense to ascertaining the legitimacy of these charismatic phenomena. Though the movement often commends itself as the modern extension of the day of Pentecost, there is no Divine source for it. What is lacking in the current movement is – first, foremost, and most notably – an evident, clear, unarguable work of God in recent history to precipitate it. This movement is unlike a revival, born of prayer and preaching of the Word. This movement claims not only the renewal of signs and wonders in the modern church but also the presence in the church of modern-day apostles and revelatory prophets. Pentecost was a Christ-promised, one-time event that followed God’s supreme insertion of Himself into human history in the form of His Incarnate Son. The first-century experience of Pentecost had a divine impetus that the modern movement lacks. God has not acted to foment the movement and the mere presence of the crowd dynamics it possesses is not self-validating. That millions may be doing a thing does not mean that thing is of God. He acted to initiate Pentecost; He has done nothing to incite the charismatic movement. Since before the end of the first century, the Holy Spirit gifted phenomena came to a close. Even Parham, the founder of the modern charismatic movement, acknowledged as much in 1901. Yet in 1906, the claim “Pentecost has come” was declared, speaking of the Azusa Street Revival. Why? Because the frenzied emotionalism of ecstatic utterances frothed forth from the meeting was seen as evidence. By 1988, a “father of prophecy,” Bill Hamon, would announce the sudden reappearance of prophets and apostles into the church. A decade later, the well-known charismatic “apostle” C. Peter Wagner would validate the charlatanry under the moniker New Apostolic Reformation. Arising from the charismatic teaching of a Pentecostal preacher, who maintained a disdain for seminary training and academic Christian scholarship, the modern movement lacks a clear, compelling, Divine impetus. God has not, in some clear-cut, undeniable manner, re-inserted Himself into human history at the turn of the 19th to the 20th century. Christ has not returned to precipitate a “second” Pentecost experience for His church, nor did He suggest one in His first-century inspired Word. The rampant prosperity Gospel in the charismatic movement is evidence of a false messiah (Matthew 24:24) of an “other gospel.” (Galatians 1:8) Where Jesus gave the Spirit to continue God’s plan of redemption and to seal His followers in the new covenant, the charismatic movement pursues the Holy Spirit by way of Christ for the experiential benefits of His supernatural gifts. The Spirit doesn’t point to Jesus; Jesus points to the Spirit seems to be the illogical but persistent presumption and the most manifest exhibition of the movement. Charismatics seem far less interested in actually knowing Jesus (John 17:3) than they are in getting the Spirit, a pursuit unparalleled in the Christian history of the post-first-century early church and not highlighted or emphasized by authentic, inspired, first-century apostles in their New Testament writings. Paul’s admonition to the Corinthian church to “earnestly pursue gifts” was contextually given to a church sorely abusing those already existing gifts. The letter was contextually specific, prompted by their disobedient, illicit behavior, and provided within it an exhortation to an even greater pursuit for which the church of Christ should be noted – the pursuit of love. It’s worth noting that Christ, immediately following his exhortation to “enter by the narrow gate,” gave a clear warning against false teachers. Where will they be found? On the wide path. How are they to be recognized? By their fruits. “Gifts” are not “fruits.” But it is “gifts” – not “fruits” – that are the intentional pursuit of the charismatic movement and the visible evidence of it. 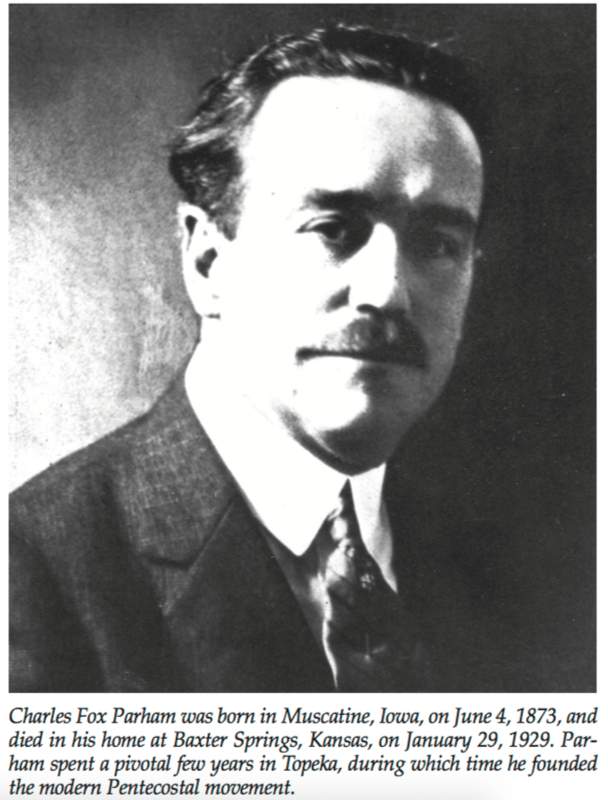 Given its inception from a progenitor known for disdaining Scriptural scholarship; considering its recent, sudden appearance from 1900 years of absence – moving from the fringes of church life to a position of predominance; recognizing its primary pursuit of the Spirit rather than of Christ; and realizing its emphasis on gifts rather than fruits, the charismatic movement exhibits marks that believers must carefully consider. The charismatic movement is a clear and present, wide-path danger to the church. For Parham – and for many adherents in the charismatic movement – the “dumb dogs” seem to be those who pursue what Paul commended to the Philippians, “And it is my prayer that your love may abound more and more, with knowledge and all discernment, so that you may approve what is excellent, and so be pure and blameless for the day of Christ, filled with the fruit of righteousness that comes through Jesus Christ, to the glory and praise of God.” (Philippians 1:9-11). But for those in Paul’s camp, the “dumb dogs” are those who, called “evildoers” in Philippians 3:2, emphasize fleshly attributes and draw attention away from Christ. 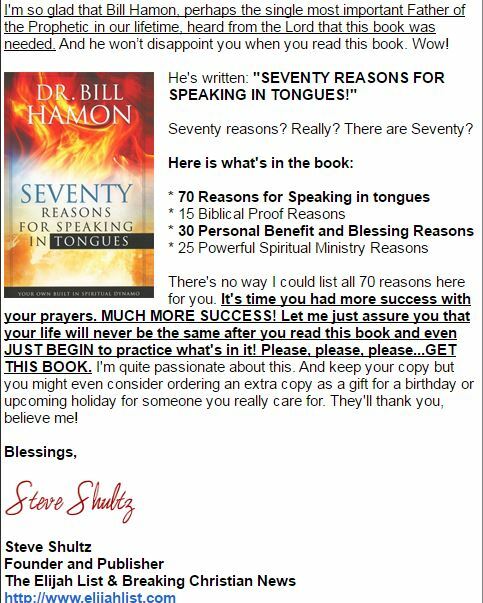 Bill Hamon, cited in the opening, is regarded as a “Father of the Prophetic,” and is author of Seventy Reasons For Speaking In Tongues, currently being hawked by the charismatic website The Elijah List. This article referenced and/or cited Charismatic Chaos and Strange Fire, both written by John MacArthur. They are highly recommended resources for a study on the errors and abuses of the charismatic movement. Previous story That Much Further South: Who Still Supports Evangelist Clayton Jennings?